Sleep Center in West Covina 1250 | Advanced Sleep Medicine Services, Inc.
We all need sleep, but if you’re suffering from the effects of an undiagnosed sleep disorder, it can be nearly impossible to get the restful sleep you require. At the Advanced Sleep Medicine Services (ASMS) Sleep Center in West Covina, our goal is to ensure you wake every morning feeling relaxed, refreshed, and ready for a successful day. Where is the Sleep Center in West Covina Located? Our sleep center is located at 1250 S. Sunset Ave in West Covina, kitty-corner from Queen of the Valley Hospital, at the corner ofS. Sunset Ave. and W. Merced Ave. We’re in the ground floor, at Suite 101. Look for our sign! There’s easy access from the parking lot. Our driveway is the second driveway after crossing Sunset Avenue, on the right. Take exit #34B at Sunset Ave.
At the end of the offramp, turn right onto W Garvey Ave N.
Turn left to stay on W Garvey Avenue N.
Our driveway is the second driveway on your right. Before leaving your vehicle, remember to observe daytime parking restrictions. Day-time restrictions may be disregarded for night-time appointments. 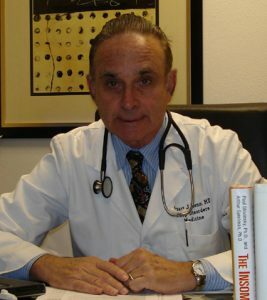 ASMS has been the top choice for patients in the San Gabriel Valley who want to conquer their sleep disorders for over 20 years. Thanks to our advanced equipment and treatment methods, there’s nothing standing in the way of getting the excellent sleep you deserve, night after night. Do You Have Questions for the Staff at the Sleep Center in West Covina? Check out This Helpful FAQ. Which Services do You Provide at the Sleep Center in West Covina? You deserve a refreshing, relaxing sleep every night. Let our expert team at the Sleep Center in West Covina empower you to take back your life—request your appointment today! What Is an In-Center Sleep Study? We like to think of an in-center sleep study at our Sleep Center in West Covina as a night in a hotel that leads to a lifetime of good sleep. An in-center sleep study is the most effective way for our experts to diagnose and begin treatment of sleep disorders such as sleep apnea. When you come to our sleep lab in West Covina, you’re provided with a room that is comfortable, private and has all the amenities of home. There are a shower and restroom nearby, and space to truly relax. Read a book or watch a movie, and when it’s time for bed, our technicians will outfit you with the device we use to monitor your sleeping. This comfortable, quiet device collects the important data about your sleeping habits that will be used to properly diagnose your sleep disorder. I Can’t Stay the Night at Your Sleep Center, Are There Any Other Options? An in-home sleep study is a great option for patients who are committed to treating their sleep disorder but may not have the means or ability to spend the night in our West Covina Sleep Center facility. When it’s been recommended you take a home sleep test (HST), our helpful staff will provide you with the equipment you need, as well as information on how to set it up. Once your HST is complete, you simply return your equipment and await your test results. I’m Not Sure How to Setup my CPAP Machine, Can You Help Me? At the Sleep Center in West Covina, our experts are more than happy to help you set up your continuous positive airway pressure (CPAP) machine and answer any questions you may have. While CPAP machines are very easy to use, we’re always available for additional training or to answer questions to ensure your therapy is successful. When Should I Replace my CPAP Supplies? As a general rule, we recommend replacing your CPAP supplies every 90 days. Having fresh supplies helps to keep your CPAP therapy comfortable, quiet, and effective. When you’re ready to purchase new supplies, you can do so without even leaving the house. Just log in to our online store, place your order, and have it sent directly to your door—and don’t forget to ask us about our convenient resupply program! Is My Community Serviced by the Sleep Center in West Covina? Don’t see your community listed above? Don’t Worry! Our team can still help diagnose and treat your sleep disorder. Are There Sleep Center Locations Outside of West Covina? There are 20 different Sleep Center locations throughout California. Find yours today. Still have questions? We’re happy to help. 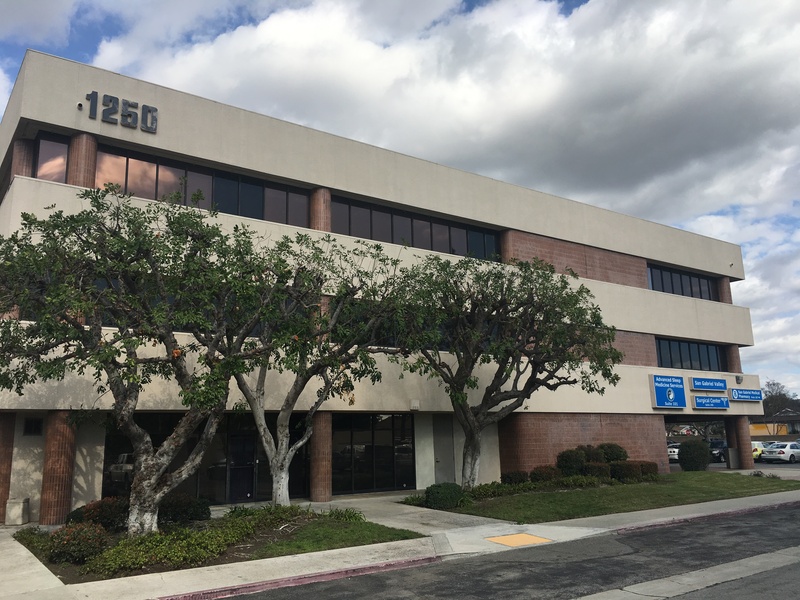 For more information on the West Covina Sleep Center, the services we offer, or to take the next steps toward diagnosing and treating your sleep disorder, request a consultation. 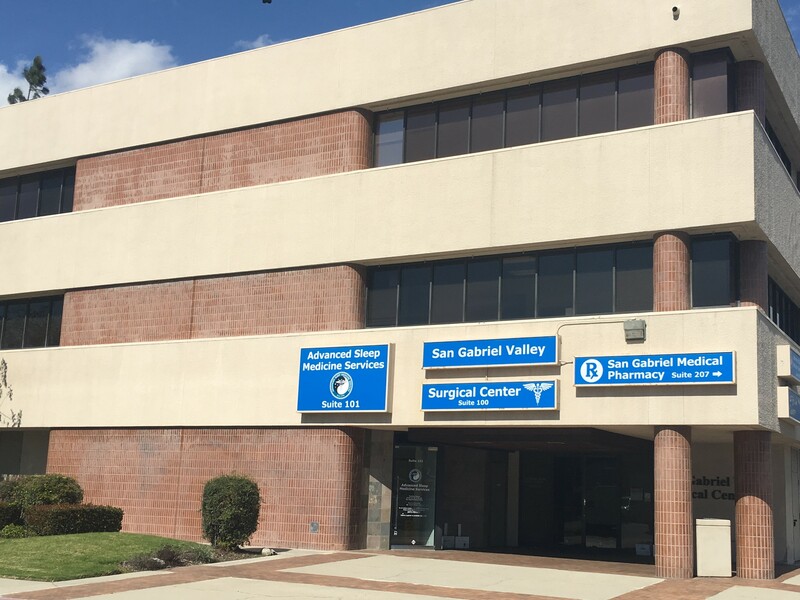 Our West Covina sleep center is located at 1250 S. Sunset Ave., at the intersection of S. Sunset Ave. and W. Merced Ave., diagonally across the intersection from Queen of the Valley Hospital. We are in Suite 101. From the parking lot, you will see our large sign. Please come to the door and one of the sleep technicians will assist you. We look forward to seeing you!